Couple of weeks ago, we went out for usual supermarket shopping. The routine that everybody loves and what we people from big cities, from the time when first mall was invented, consider as a sort of entertainment. Thankfully we have one big supermarket just close by so that rainy day we stopped by again for the umpteenth time. I left my son in the toys department and checked my wife at the other part of the store, and found her pretty happy and busy with browsing for, well something, probably important we ran out from our home supplies. I didn't know what else to do so I decided to check couple of book shelves they like to call 'Bookshop and Entertainment'. Well, I surly don't have to describe in details what I have seen in there. The majority of book covers were designed with pastel colors, pretty girls and tender flowers of all sorts. Just for fun, I randomly opened one of the novels and read something like this "Her lips were swollen now and her scent filled the room, buttery pastries. He knew what would happen as he leaned toward her. Little puffs of air left her mouth. Her scent thickened the space between."*. As tempted as it was, I resisted to read further and kept searching for something, well I don't know.. different and with.. well you know plot, conspiracy, twist, intelligent characters.. and stuff.. I knew it was mission impossible, but still, sometimes even in the most dirty rivers people used to find gold and jewels. Well, I didn't find them really, but eventually, after couple of spent minutes in front of book section I decided to buy one novel. The one that inspired me for this post. It was standing under the timid, last shelf, just next to the floor and contrary to the all photoshopped girls and pink roses all over the place, with big scary snake on the main cover and with intriguing title "The Genesis Secret**". The teaser was saying "It was hidden for 10000 years. It should have staid that way...". The price was in the range of local newspaper, so I put it into trolley without checking inside. If I did, I would probably never buy it due to author's style of writing (or translator's?) in short sentences, obviously in war with commas, but nevertheless, after couple of pages (or dozens of them), I finally got used to this and found out the story inside extremely fascinating. The book is outstanding thriller and follows the story around journalist who investigates origin of religion in the place where all dogmatic beliefs of western civilization started millenniums ago. One of the story chains is placed in the nowadays eastern Turkey and northern Syria and Iraq, where many of archaeologists still search for 'Garden of Eden', 'Noah's Arch', 'Cities of Giants' and all other places and events from Abrahamic monotheistic mythology and all older religions from the history before Abraham and from the same origin, geographically speaking. 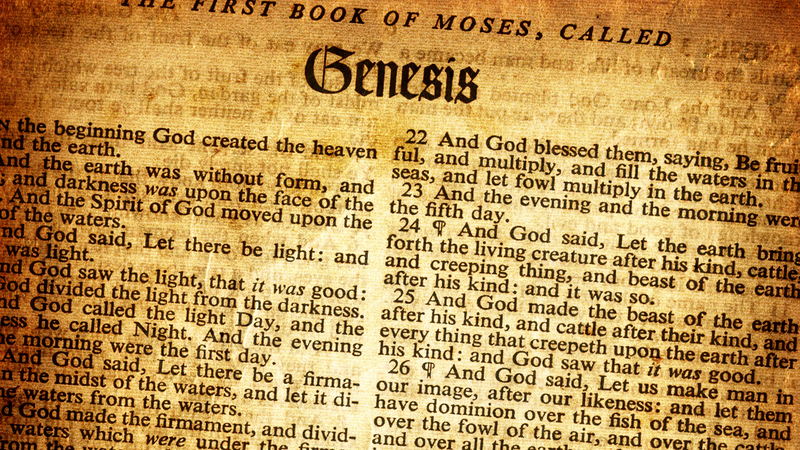 If you read the book or inspired to do it, Tom Knox is offering his version of the origin of genesis and I am not going to spoil reading for you. However, following are my thoughts of ancient civilizations and their myths and religion. Or to be precise, what I think that happened way before Christ, Muḥammad and Abraham. Let's talk in facts and human nature. Just like I shaped my thoughts on this topic based on what I have read before or seen in documentaries, we can safely assume that the same goes for ancient guys. Way before monotheistic societies, just like anywhere else, polytheistic religions were dominant. It was surely the case in ancient Sumerian civilization in southern Mesopotamia, or the same area described in the book. It was them who invented Cuneiform script, one of the earliest known system of writing. Initially, they used it for practical means, like keeping records in their tradings and exchanging goods, but it was imminent that sooner or later it would be used for other things. Like writing stories. One of them is about Utnapishtim, the guy who was selected by the gods to build an ark and save only the chosen ones from the upcoming rage in a form of the.. well the flood.. What else. They also recorded the ancient site of Dilmun, a place where the first creation happened and the most famous cuneiform poem, 'Epic of Gilgamesh' in which, a demi-god Gilgamesh searches for internal life only to found out that with creation of man comes along creation of death and even he found a beautiful garden by the sea and a plant that restores youth, in the final moment a serpent steals the plant and vanishes. It is hard not to notice all the similarities between old Sumerian stories and the ones written in the first Bible. It is simple, one civilization vanishes, the other rises on their ashes. But the stories survive. In one way or another. If all the familiar stories in the Old Testament, represent only older stories and Eden is nothing more than ancient Dilmun, while 'modern' Noah is Utnapishtim himself, and the snake from the Bible is the same snake from the Gilgamesh poem, we can only ask ourselves, where the old Mesopotamians got their stories? Did they invented them in the first place or there were even older civilizations with their own tradition and religious stories that inspired the old Sumerian writers? We will never know. My guess is as good as yours. 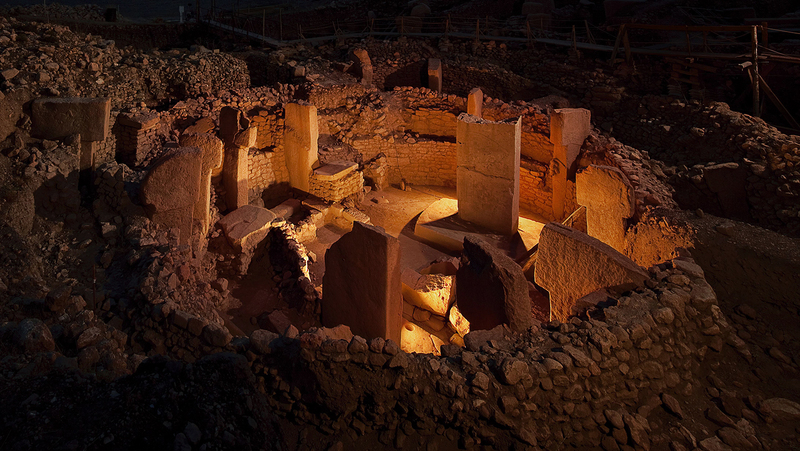 But when we find even older temples deeply buried in the dirt, like the 11000+ years old Göbekli Tepe, not too far away from ancient Harran, described in the Knox's thriller, we have to wonder whether human's history in various beliefs is much older than the first letters carved in the stone and clay tablets. But what we can assume pretty accurately is when humans started to worship the divine and build temples. It was the moment in our evolution, and by moment I mean probably large period in time, when humans started to cultivate plants and domesticate wild animals. 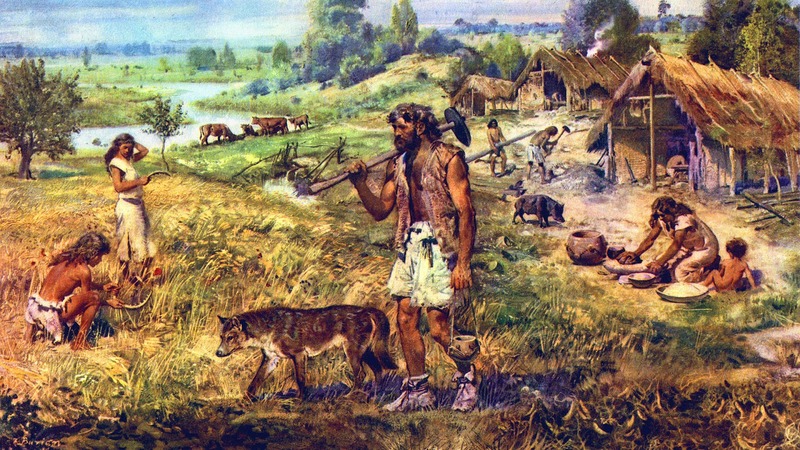 Before that, humans were simple food pickers and animal hunters and their lives were pretty simple. Animalistic even. The food they found here and there were always within reach. They only needed to learn to get to the food before other species. And they were way better then other animals, with all the hunting in teams and kind of cooperation with other tribal members. However, agriculture is much different, from the moment you plant the seed in the ground till the moment plants mature for consummation, there is plenty of time and lots of danger. Simple heavy rain or longer periods of drought, early snow or some other weather disaster can kill all your efforts. The animal plague of some kind or wild animals can devastate your domesticated herd. If you were ancient farmer, there was nothing you could do. Nobody can stop the ice cubes falling from the sky. Even today there is no 100% efficiency, despite all the thermal rockets we use to protect our fields. But then, it was pure disaster. So if we put ourselves into ancient brains, there must be somebody above who throws the ice, right? We have to please him, give him a piece of our food. And ask him to spare our crops. Maybe even sacrifice something precious to show our mercy? The rest is history of religion and despite different civilizations in different times or places it was more or less the same. The bigger the temples were, the better gods were pleased. The bigger the stones we used, the higher the temples were. Soon enough we had gods for everything. For the food, for the safe sea travel, for the war, for health, for love... Our brain evolution was followed by religion as well. The sooner we learned about regularity of star movements and solstices of our own Sun, the better our temples were built to catch a ray of sunshine only once a year. When we were in special mood to offer our gratitude and sacrifices... In the nutshell, if you ask me about all the Stonehenges, all the Mayan and Egyptian Pyramids, all the Churches, Mosques, Hindu temples and Far-East Sanctuaries, everything religious in ancient and modern times, they all have one thing in common. That first grain seed, one ancient farmer put in the ground for the first time.